President Mary McAleese has launched the first of two plans in Limerick, which herald the rejuvenation of deprived areas through radical and creative approaches. 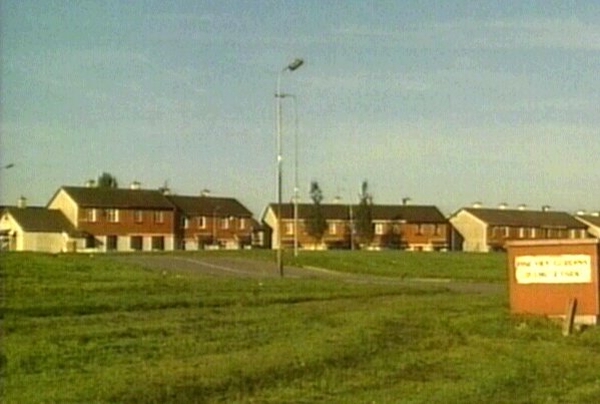 Under the proposals, the Moyross housing estate and the Southill and Ballinacurra Weston areas on the south side of the city will see redevelopment. The regeneration project is the largest to be undertaken in the history of the State - over 2,000 homes will be demolished and rebuilt in an effort to tackle anti-social behaviour. It is hoped the initiative will reduce crime levels in the Moyross and Southill areas of the city. Fr Joe Young, a priest with over 20 years experience in the Southill are of the city, has insisted that community policing is a key issue and called on the Minister for Justice to support the new proposals. 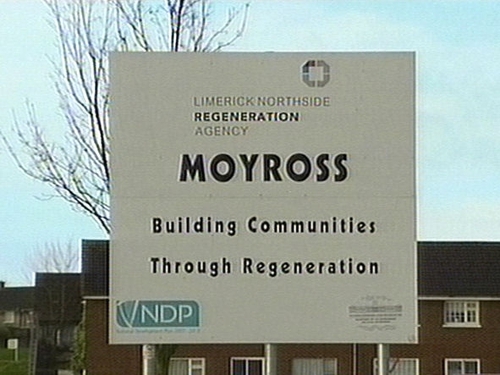 The entire Moyross estate, consisting of 1,160 houses, is to be demolished and rebuilt. 760 houses in O'Malley Park and Keyes Park in Southill will also be demolished. The regeneration will also see up to 200 homes in the Ballinacurra-Weston area of the city replaced. The proposals come after nearly six months of dialogue with the communities living in Moyross and Southill and the regeneration teams headed by Brendan Kenny. An approach similar to that of the Criminal Assets Bureau will be taken by all state agencies against those involved in harassment and crime. They will need a certificate of eligibility to get a house, strict eviction orders will be enforced and their welfare payments will also be linked to their contracts of accommodation. Mr Kenny says that while these measures are radical, they are in response to the huge desire by people in these estates to feel safe in their homes. The plans may also be used as a template for the regeneration of other areas of the country.